Thank you for your interest in Cryo T-Shock. We are the exclusive distributors in the Western Hemisphere for Pagani, the Milan-based manufacturers. We promise you will have many happy clients, especially now that we have secured rights to sell several measuring devices that show quantifiable results! 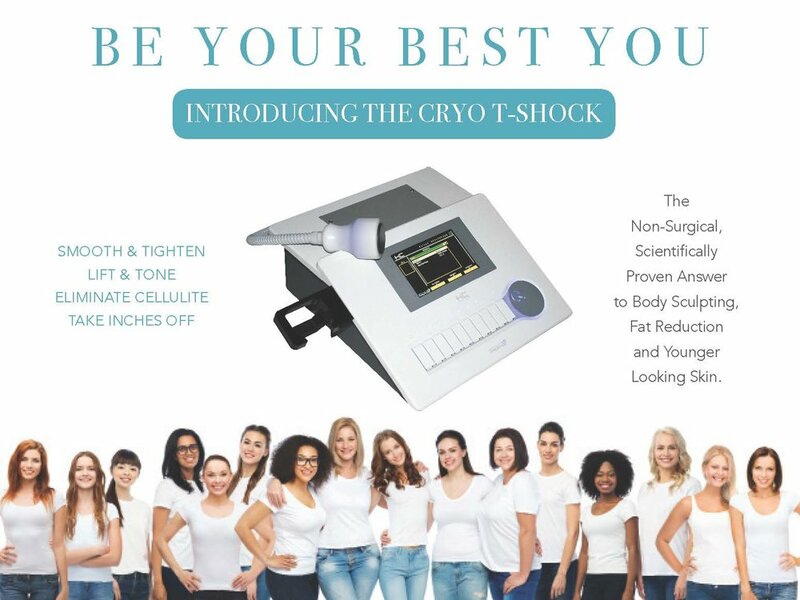 Relatively affordable: With an all inclusive MSRP of $29,900 and a two year warranty, it delivers comparable results to body contouring equipment costing 5x as much. High ROI: The average monthly incremental revenue from our 80+ clients in the U.S. using the T Shock is $13,500 with some experiencing as much as $40,000 a month. The T-Shock is unique because warm and cold are used in conjunction and applied directly to the clients skin. Subcutaneous fat cells are more vulnerable to the effects of cold than other surrounding tissue. Exposure to cold causes fat cell apoptosis, a natural controlled cell death which leads to the release of cytokinins and other inflammatory mediators that gradually eliminate the affected cells. Inflamed cells gradually digest the effected fat cells over a period of time following the procedure reducing the thickness of the fat layer. Lipids from the fat cells are slowly released and transported by the lymphatic system to be processed and eliminated. The Cryo T-Shock has been employed in Europe since its inception in 2014 with close to 1,000 units sold. To provide a perspective of the Cryo T-Shock functionality and user interface we have the Operating Manual available for download for your perusal. The all inclusive price of $29,900 includes: Shipping: a wheeled trolley; a carrying case; gel; a two year warranty, and: a full day of on-premise training for your staff by one of our master trainers. The order cycle from payment to delivery is 3-4 weeks. We support your on-premise efforts with an extensive marketing campaign which includes a 2' x 7' accordion banner, POS rack cards, brochures, email, social media and digital support. Our 10% off show special is extended until October 10th.